School children around the world have been going on strike. They are unhappy that their governments are doing too little to fight climate change. 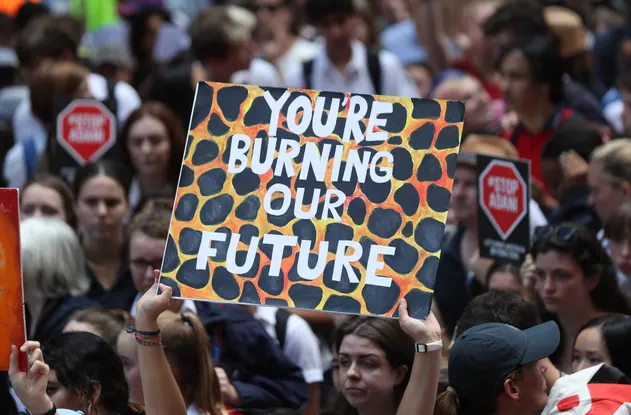 The strikes are part of a growing international movement called School Strike for Climate. Instead of going to school, students across the globe have been skipping classes to take part in street protests. Many of the protests have been outside government buildings. The movement began in August 2018 when Swedish student Greta Thunberg stood outside Sweden's government every Friday. She held a sign that read: "School strike for climate". Photos of her went viral on social media. Students organized themselves and copied Ms Thunberg's actions. The movement is growing worldwide. In 2019, strikes have taken place across Europe, North America and Australia. Over 45,000 students protested on one day in Switzerland and Germany. Students have held banners reading, "Why learn without a future?" "If you do not act as adults, we will" and "Like the sea level, we rise." The first worldwide strike will take place on March 15. Many scientists, politicians and teachers congratulated the students for their activism. However, not everyone is on the students' side. Australia's leader called for "more learning in schools and less activism". A journalist in the U.K. wrote: "If children really must wag their fingers at older generations for some imaginary sin, I wish they'd do it at the weekend."